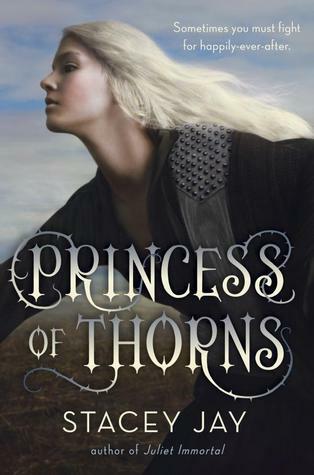 "Game of Thrones meets the Grimm's fairy tales in this twisted, fast-paced romantic fantasy-adventure about Sleeping Beauty's daughter, a warrior princess who must fight to reclaim her throne. This is a fairytale re-imagining as we journey with Aurora to save her brother and the kingdom from evil tyrannical ogres. Although the prologue was quite confusing, the beginning of the book started off well and makes more sense as it goes on. Even if Aurora could only prove her strength and respect by masquerading as a boy, by the end of the book, she may have gained other’s respect, but she completely lost mine. More than anything Niklaas’ personality flaws immediately had me hoping Aurora wouldn’t fall for him. It was frustrating, not only reading how he talks about women, his “track record” with women, and his ego, but reading how Aurora still falls for him. This for me proved that she may not be the sharpest tool in the shed, and I generally just lost all interest in continuing the story. It took awhile, but I decided to start reading it again just so I could finish and go over my thoughts with it (I was also secretly hoping that it would redeem itself in the end.) Needless to say, the book ended weird as it felt like the author rushed it. This is especially frustrating when you realize how detailed and how long their journey was throughout the book. In all, I loved the idea or Aurora being a strong female protagonist, even if she was masquerading as a boy, but it all fell apart when she started falling for Niklaas. I absolutely love the author’s writing and how she sets a scene before her readers, but I didn’t feel like Aurora did anything to prove that she would be capable of ruling a kingdom in this love story dressed up as a faerie fantasy.